We’ll Cream You With Our Tim Hortons Donuts, You Hosers! What is the deal, America? We Canadians have tried to be polite neighbours; we’re kinda known for it. Now we’re going to war? Over wood and dairy? Really? Canadians forced to don our uniforms of toques and parkas, eh, and hoard rations of maple syrup, poutine, butter tarts, and beer for the battles! Ski-Doo Fleets! Canoe Armadas! We’ll cream you with our Tim Hortons donuts, you hosers! Speak truth to power, tell the Emperor he’s not wearing any clothes, Oh Lord, I feel like scrubbing my mind of that horrifying orange image. How can you trust a guy that says he’s gonna pull out then doesn’t? Obviously talking about Trump pulling out of NAFTA here. How about Captain Concussion, a hockey player caught in a Gamma radiation blast from an experimental Zamboni (a real word, say it a few times, it’s fun). Captain Concussion could use his superpowers to fight Iced Z, the Zamboni driver who got turned into an arch-villain during the blast and bring awareness to concussions. Stan Lee could show up selling beer and snacks at the hockey games. And we’ve got some groovy 70’s music too, how about a StarCanuckLord in the next Guardians of the Galaxy movie? Come on, we’re trying, we elected a moderate-yoga-posing-legalizing-marijuana- -nonorange-hot Prime Minister, Justin Trudeau (not perfect, but seems like he’s actually part of the human race). But it’s not enough, is it, America, I know, Blame Canada, we’re not a real country anyway (thanks South Park). And France, you too? I gave you a pass on escargot, but frog legs – please, I’m a Kermit fan https://yadadarcyyada.com/2014/09/17/on-the-right-track-muppets-they-were-sewn-that-way/. France, you have the Eiffel Tower, the Louvre, Johnny Depp drinking living there (is there really another Pirates of the Caribbean movie, talk about not pulling out in time). Please don’t let Russia/Putin control your election like it did with the #Election2016 and #Brexit – aren’t you kinda notorious for revolutions against tyrants? We still accept endless visits from Prince Charles/Camilla when you know some prefer Kate Middleton, Prince William, Princess Charlotte, Prince George, and Prince Harry. We still have the Queen on our money. This hating on Canada by The White House will have ramifications for many. In Canada, we already pay more for most stuff than Americans do; now our dollar shrank, meaning we’ll pay even more for books (noooo! ), food, shelter, clothes, medicine, and even, gasp, chocolate. But America, won’t you please, please won’t you be my good neighbour again? I miss you. A lot. I’ll start with a confession. I take my son to movies like Iron Man, but I probably enjoy them just as much as him, perhaps more. But it’s a fun thing to share. 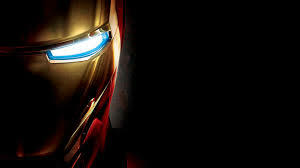 Iron Man is an unlikely and astonishing superhero. He technically starts out bad, inventing and producing weapons that kill people. When injured he’s forced to start using his genius and ingenuity to save himself and others rather than destroy, but he doesn’t become a perfect hero by any stretch of the imagination. Almost invincible on the outside, hard and defended, on the inside a wounded man-child, who struggles with addiction and his inner demons, which is probably why Robert Downey Jr. is so effective in the role. Iron Man was originally created by the astonishing Stan Lee; developed by scripter Larry Lieber; cover-artist and character-designer Jack Kirby; and story-artist Don Heck. Iron Man first appeared in March 1963 in Tales of Suspense #39. And Tony Stark/Iron Man has been on it ever since, well, except for the time he had to wipe his brain to keep Norman Osborn from gaining his information, but who hasn’t had days like that? As much as I love the comics and some of his appearances in cartoons and video games, etc., bringing Iron Man to the big screen was a lovely treat. Everything it should be: intense, high-tech, dramatic, melodramatic, unrealistic edging on absurd and thanks to RDJ and Jon Favreau, hilarious. Iron Man 2 not so much. It seemed to be struggling to find its direction and ultimately just wasn’t up to the first. It seemed more about the tech than the people. They made up for it with Iron Man 3. It was grand. 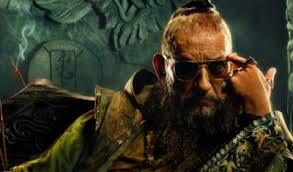 Loved Ben Kingsley as The Mandarin/Trevor Slattery. Now the word is although RDJ will be back in Avengers: Age of Ultron, they’re thinking of replacing him with someone younger in the 4th Iron Man. What? Why? 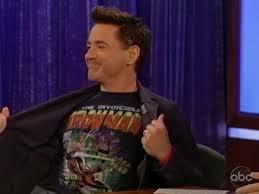 Robert Downey Jr. is Iron Man. I’m always amazed how bizarre studio thinking can be. We’ve got a money-machine franchise, let’s play with it by replacing one of the stars. Huh? They’re as annoying as Doctor Doom, maybe more so. So now just waiting for Captain America: The Winter Soldier and Avengers: Age of Ultron. And for the Illuminati to show up. So I guess just waiting.